No fewer than three people texted me to tell me they thought Tuesday’s show was “weird”. It’s a situation very similar to last night. If Rebeca doubles her score, she’ll have 17,200. 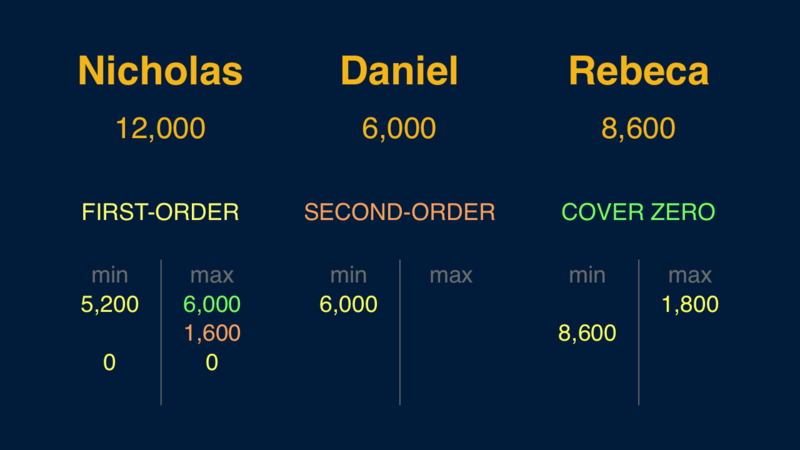 Nicholas will need to wager 5,200. 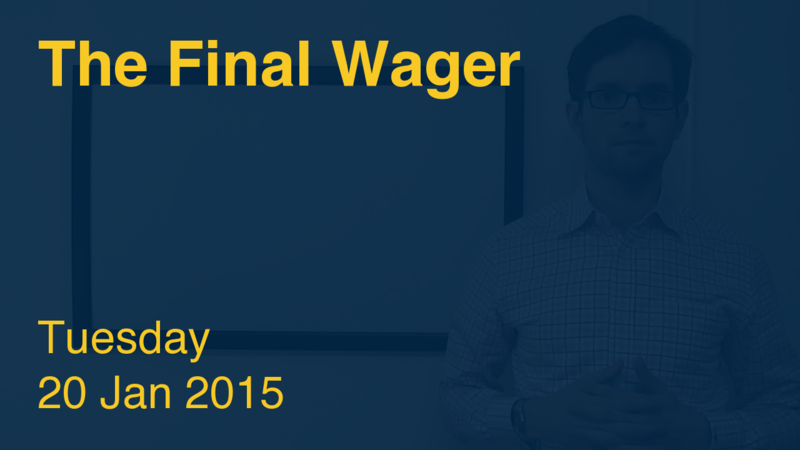 An incorrect response with that wager will leave Nicholas with 6,800. To stay above his total, Rebeca can wager up to 1,800. Daniel must respond correctly to have a shot, so all-in is the way to go. Once again, Stratton’s Dilemma: If Rebeca wagers to cover Daniel and misses, she’ll be out against Nicholas, so it’s either the small-ish wager above or everything. Nicholas has a potential “zero to tie” if he wants it, but it’s rather unappealing. 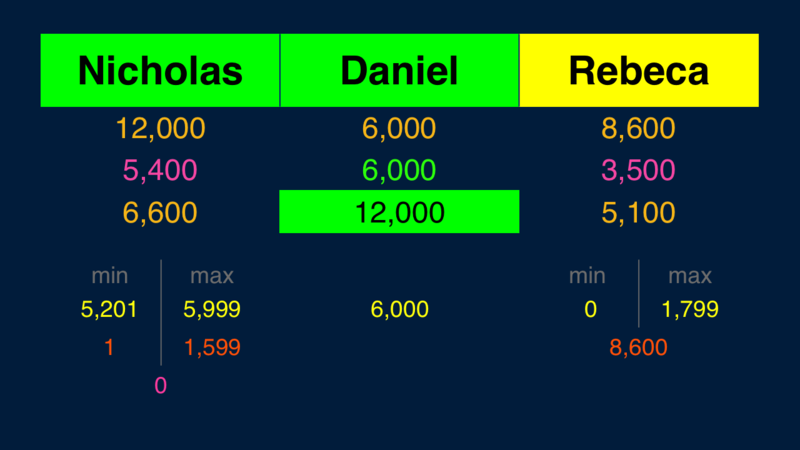 If Rebeca makes the rational maximum wager of 1,800, Nicholas will need to wager 1,600 to stay above her. Although Rebeca left a potential $5,100 on the table, she at least picked a side. Nicholas was 0/3 on Final – hard to put a string together like that. Seeing the year in this clue should result in a Pavlovian response: the correct answer. Who was Thomas à Becket? In the last 10 regular games (counting tonight) in which we had three players in Final Jeopardy we have the following result: In 1 case all three got it right = easy. 3 cases of 1 right + 3 cases of 2 right = 7 ok and 3 cases of 0 right = hard. So that’s a “final jeopardy degree of difficulty = just right” score of 60%. The “average degree of difficulty” score (higher is harder) stays at 1.80. No triple stumper today so the “no triple stumper on FJ” streak now stands at 1 day.